While sitting on the beach here in Mexico today, I was telling a young Australian couple about our journey of discovery down under. As travel in Australia is actually quite pricey, most Aussies have never taken a good look at their own country. Being that it was all new to us, we took the time to see what was around the bend more than any Aussie we met. Amusing on some level, except that the same could be said about Canadians (who have rarely taken a look outside of their local area, but have been to the Dominican Republic every year for the last 10…) or Americans who just don’t go anywhere. Traveling in Western Australia, the first thing that a traveler must come to grips with is that it is a LONG way to anywhere. Let me put that into a but of perspective. Leaving Perth and driving north, the first town of any significant size is 1,400 miles (2,250 km) away. That is about the same as driving from Los Angeles to New Orleans without going near a town as large as Sylacauga, Alabama. Australia is vast like no American (and certainly no European) can understand. We headed out across just one little corner of this massive country to see its westernmost point – Denham, WA. Stopping along the way in Kalbarri for a night, we tuned out civilization and tuned into the rhythm of the bush. At one point, we drove for 2 hours and only saw one car. 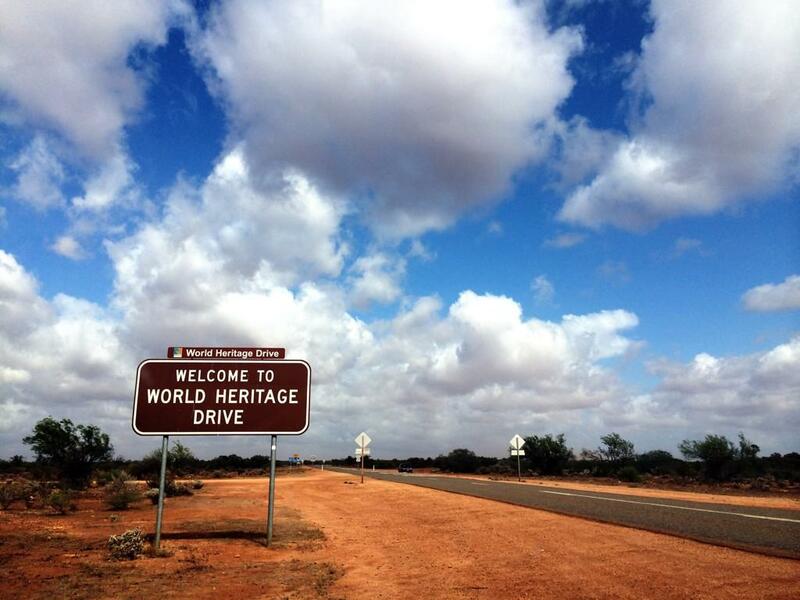 The second thing a traveler in Western Australia must come to terms with is self reliance. You are – most assuredly – on your own in the outback. I have met people who hold the bizarre belief that being around people keeps you safe. For myself, just the opposite holds true. Being alone in the outback, with only a kangaroo or an emu for company, is one of the most intensely enjoyable feelings in my life. While it is true that almost everything in Australia wants to kill you (including the ‘roos and emus, if crossed inappropriately), being in the outback made me feel alive! There is no greater feeling than knowing that no one is coming if you have a problem. You are naked against nature (with a more than a few creature comforts! )… Faint of heart? Stay in Sydney. Strong Aussie spirit? Northern WA might be for you! 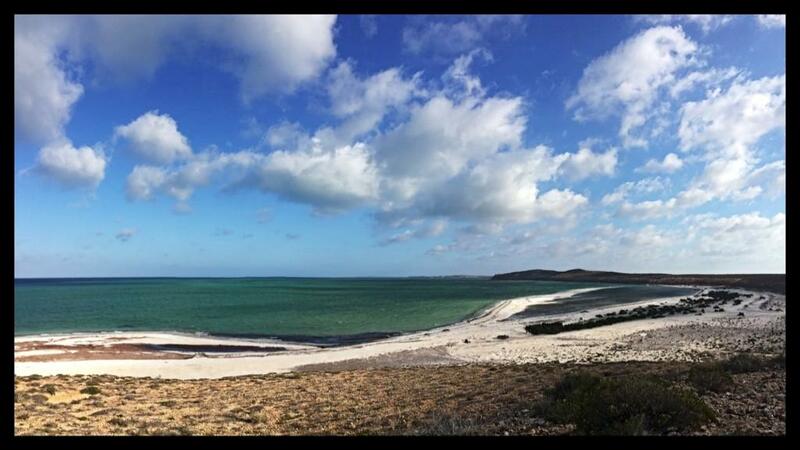 Our destination, Denham, WA is the heart of the Shark Bay area. To the north and slightly east is the wonderful experience of seeing the dolphins up close and personal at Monkey Mia, but the real stunning beauty comes from the waters themselves. They teem with life like nowhere else I have ever seen. From Eagle Bluff, Diane and I watched as schools of 50-100 manta rays the size of cars glided silently beneath the surface. The namesake sharks were ever present (keeping my lovely wife a healthy distance from the water! “It’s a looking beach, not a swimming beach” was her quote.) and in large numbers. At night, we slept under a blanket of stars more intense than even a moonless west Texas night. We camped at one of the local shire (county) campgrounds – Whalebone – which was limited to the first 5 people who registered. A quick call to the office and a $10 AUD fee by credit card and we secured one of the most perfect campsites on Earth. Is Western Australia for everyone? No. Absolutely not. If you have what it takes to see the world on its own terms, then it may just be for you though.